This 22' by 24' Cabin is compact but is packed with extra features. Access to the main floor is provided by a front door from a sheltered front porch. 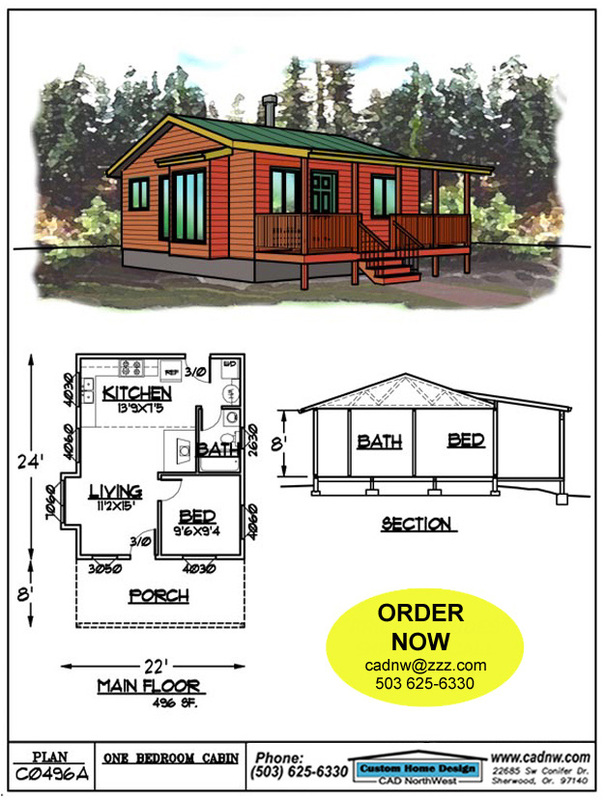 This is a great open living area plan with a complete roomy kitchen bath and wood stove and laundry. This can be a ski cabin a fishing cabin or just a retreat from a hectic life.